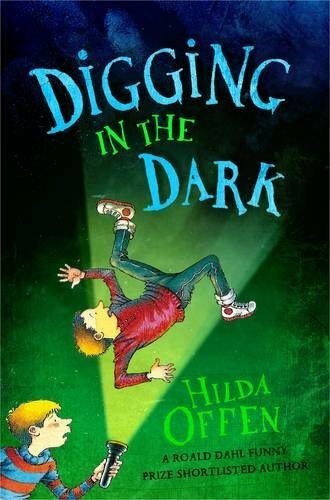 Popular author Hilda Offen has previously won a Smarties Prize and was shortlisted for the Roald Dahl Funny Prize for The Galloping Ghost, her first book about Josh who returns in this new title. This time, Josh’s cousin Malcolm has come to stay while his parents mysteriously make a run for it. Malcolm is everything Josh is not: rude, geeky and full of himself. Fancying himself as a junior archaeologist, Malcolm loves to hold forth on his superior knowledge and even insists on digging up the back garden. But has he really uncovered a Roman villa in a field nearby? And why does the television remote strangely disappear every time the new reality show Iron Age Village comes on? This funny story is ideal for newly independent readers. Offen presents recognisable school life, from friendships and bullies to school outings. She is particularly strong on conveying an excitement for topics like World War II and, to a lesser extent, the Romans. This is likely to make her as successful with teachers as with their pupils. Offen also illustrates with witty black and white drawings. While there is no reason why this should exclusively be a boy’s book, it certainly aims to appeal to the more stereotypically male reader. Football, climbing and messing about with friends are good; a precocious interest in ancient artefacts is not. But Josh makes a likeably ordinary everyman and despite groaning over cousin Malcolm’s ludicrous antics, Josh protects him when he needs it most. The pace of this book is just right and the regular but gentle humour is unlikely to offend. The sub-plot about a reality television show gives Digging in the Dark a 21st century touch, but Hilda Offen’s writing is timelessly classic, so has little need for bells and whistles.